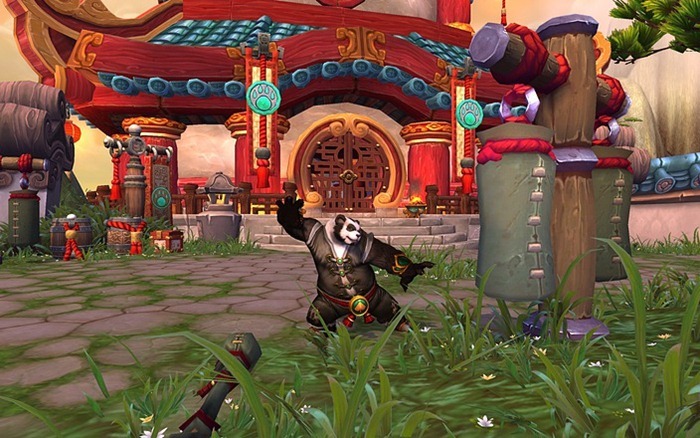 Blizzard has announced World of WarCraft’s latest expansion today: Mists of Pandaria. It signifies a major shift in the game and may be the game that saves it (if it needs saved) or ultimately puts an end to it’s stranglehold on the genre. First off, the game will feature a new continent, similar to the first to expansions, Burning Crusade and Wrath of the Lich King. This I approve of. I disliked that the expansion content in Cataclysm was spread all over Hell’s half acre because it made the world feel disjointed. The continent is Pandaria, and of course it includes the panda-like race, the Padaren. The Pandaren seem to be available to both factions, something Blizzard has previously tried to avoid to prevent PvP confusion. They of course get their own starter zone, and get access to a number of classes, including the new monk. Monks fit the Asian theme going here and specialize in – what else? – martial arts and bare hand combat. This seems ok, but it doesn’t help the game where it needed helped: the shortage of healing classes. Class specs and talent trees are completely going away in Mists of Pandaria. You instead get a specialization at level 10 (like you do when picking a talent tree now) but instead of getting points for a talent tree you get a specialization ability every couple levels. Once every 15 levels you’ll get a talent points -a talent point, as in one – that you can spend on one of three tier talents. How exactly this will work and what these talents will be remains to be seen. Blizzard is also turning your vanity pets in Pokemon. You can battle them with a Pet Battle System and try to collect wild pets with yours. Turn based combat, tradable pets, and learnable abilities all lean towards the “Gotta catch ’em all!” vibe. As is stands I’m pretty unimpressed. Mind you I stopped playing WoW a few months ago so I’m not the best guy to assess this. Still it almost looks to me like a desperation overhaul by Blizzard. We’ll have to wait and see if that is the case.